Valentine’s Day is fast approaching! For many, this means giving extra thought and time to sweethearts. The excitement of what to give and what you’re going to get from your romantic partner is mounting! For others, however, the time of year may bring emotions that are not so exciting or pleasant. This article will explore both sides – providing some ideas for what to give to that special loved one, as well as how to share some of the love with others. There are many different theories about the origins of Valentine’s Day. It appears to have started in classical mythology and was “hijacked” by the Christian church and changed into St. Valentine’s Day. In the Middle Ages, the focus shifted to romantic love and now in our contemporary society, it has been really overhauled into an event for commercial profit, which, as you will see, the author does not find completely negative. We’ll start with “The Sweet” side – a discussion of the many and varied romantic Valentine symbols and their origins. Then a look at “The Not-So-Sweet” side. Finally, a proposal to enlarge the celebration in the topic “Sweetness Abounds”. Valentine’s Day is celebrated many places around the world in various forms. China, Finland, Estonia, France, Greece, India, Iran, Israel, Japan, Colombia, Costa Rica, Dominican Republic, Ecuador, Mexico, Puerto Rico, Philippines, Portugal, Romania, Scandinavia, Singapore, South Korea, Spain, Taiwan, Wales and the United States are among the areas that celebrate in some manner. While all of the symbols discussed here may not be recognized in all of these localities, they are all represented in some form in one or more countries. •Colors – The traditional colors used to celebrate Valentine’s Day are Red, White and Pink. Red symbolizes warmth and feelings and is associated with the color of the human heart. White is a symbol of purity and sometimes faith. And Pink, a combination of Red and White, is sometimes viewed as a symbol of innocence. •Cupid – Cupid is the Roman God of Love and one of the most popular symbols for Valentine’s Day. Originally he was shown as a young man with a bow and arrows. But over the years, he went from a handsome man to a pudgy baby. It is said the reason for the change is that in the Victorian era, people wanted to make the occasion more “proper” for women and children. So they changed the handsome Roman god into a chubby baby, who transfixes the hearts of youths and maidens with the arrows he carries around in his quiver. •Hearts – A red or pink heart with an arrow piercing through it is another of the most common symbols to symbolize Valentine’s Day. The heart is a symbol both of love and vulnerability. When you send someone a Valentine, you risk being rejected and having your feelings hurt. So the piercing arrow is a symbol of the vulnerability of love. The heart and arrow may also symbolize the merging of male and female as one. •Chocolate – What is Valentine’s Day without chocolates? Many believe that the chemical contained in chocolate called phenylethylamine or phenylaline is the same that is produced in our brains when one is falling in love. Some psychologists feel that chocolate is an instant “love booster”. Chocolate has become closely associated with romance and Valentine’s Day. •Ribbons, Frills and Lace – Ribbons, lace and frills are essentially synonymous with love and romance. Years ago, lace handkerchiefs were used to indicate romantic interest. If a woman had her eye on a man, she might intentionally drop her lace handkerchief for him to pick up to encourage him into a relationship. This apparently was where the idea of lace and frills became associated with romance. •Lovebirds & Doves – In the Middle Ages, it was a popular belief that birds chose their mate for the year on February 14th. Since doves and pigeons mate for life, they symbolize loyalty, fidelity and love. •Love Knots – Love knots have no beginning and no end and consist of graceful loops which sometimes form hearts. Messages of love are either attached to the knots or knotted into it and are read by turning the knot around and around. •Scrimshaw & Cameos – Over the years, sailors would spend time on the seas longing for their true loves. Some would scratch love designs on tusks, bones, ivory or wood (scrimshaw) and sometimes even portraits of their love interests (cameos). Perhaps this tradition of a very personal gift has evolved into the gift of jewelry, often associated with Valentine’s Day. •Valentine Cards – The custom of exchanging love notes goes back to a Roman festival where names were drawn to determine who would court whom for the next year. The first personalized cards appear to have their origins in Britain around 1415, showing up in the United States around 1740, where they were sealed with wax and left secretly on a doorstep. Commercial cards first appeared around 1800 in England and 1880’s for the United States. Since that time commercially made cards have become increasingly popular, although handmade ones are still done and valued for their originality. So what can be done to make Valentine’s Day an expression of love for everyone, sweethearts and other loved ones as well? This author would propose an expansion of this celebration so it becomes all-inclusive, rather than detrimental and isolating to a large percentage of the population. And while not usually a fan of commercializing celebrations, in the case of Valentine’s Day, it is believed that the commercialization has brought about a change beneficial to all. Commercial interests encourage us to give to all those we love, not just our sweethearts. If this is practiced, it will help reduce the isolation or depression that may be affecting a large percentage of our world. This change of focus is already happening as shown in greeting card statistics. Teachers receive the most Valentine’s Day cards, followed by children, mothers, wives, and then sweethearts. A method to get to this high standard of “Sweetness for All” would be to continue to celebrate romance, continue celebrating sweethearts AND also begin to celebrate all the other types of love in your life. If you are alone, celebrate yourself! And then celebrate anyone else that you feel love for, even your pet. If you are in a romantic relationship, celebrate yourself, celebrate your partner – and then look around in your life and see who else you love in other ways. Then celebrate that love by giving – whether it be just a telephone call, a Valentine card, a yellow Rose in friendship or a little extra effort on this day to let them know that they are loved and appreciated. Some may view this as “watering down” of the intent behind Valentine’s Day. Perhaps a sweeter viewpoint would be to see it as an extension of a love-filled holiday. Let’s make it an all-inclusive celebration of all kinds of love! 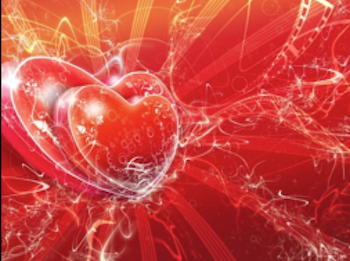 The love in our hearts is enough to fill the universe – let’s do it! “And in the end, the love you take is equal to the love you make…” ~The Beatles. 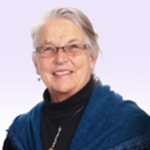 As a LifeReader psychic, Grace combines her gifts as a psychic medium, animal psychic, healing energy worker, shamana and ordained minister to give readings with a unique and honest perspective. She is available for readings regarding romance and other significant life issues. Portions of this article were channeled through her from the Angel of the North.